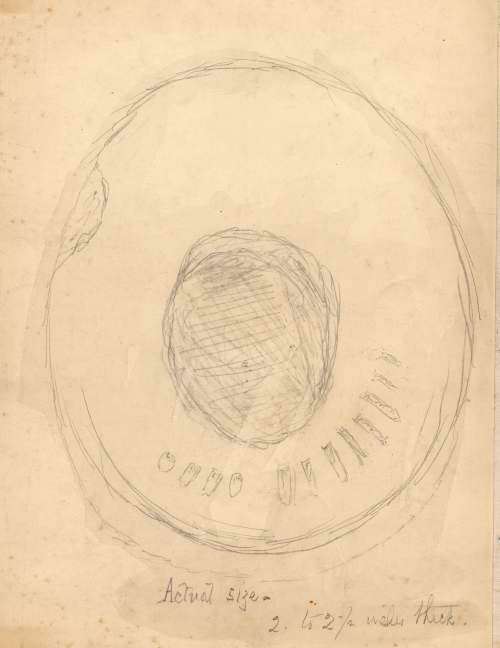 Pencil drawing on the cardboard back of a notepad, of a circular object with a hole or depression in the centre, with a series of radial markings underneath. Caption underneath reads "Actual size - 2 to 2 1/2 inches thick". It is not clear whether this means that the object is drawn at actual size (i.e. about 6.5 inches across).